I have a Maruti Dezire car originally fitted with JK Tyres. I have driven the car about 94200 kms without changing the original tyres. This is for your records and action deemed necessary. I purchased a Maruti Wagon R in 2010 fitted with JK Ultima NXT 145/80R13 tyres. It has touched 24000 kms still even no singal puncher and can be used further. Congrats to JK tyres . I have Swift VDI and i have travelled near 93000 with first set of my JK tyres which are in good condition even now. I got JK Tornados with Ritz VDI. I am pleased with the performance of the tires so far. I have done 88,000 KM so far and couple of tires are completely worn out. I was planning to get the same tires in a nearby location but I am unable to trace a dealer nearby. I will be going with some other tires for now but I feel you can improve your presence so that people can think of buying these tires. I purchased a Maruti Wagon R in 2010 fitted with JK Ultima NXT 145/80R13 tyres. It has touched 76000 kms and can be used further. Congrats to JK tyres especially to Tyre builders who built it. I bought a Chevrolet Cruze in October 2011 fitted with JK TYRES. This was the time when Yamuna Expressway had just come into being. I was travelling to Delhi by the above mentioned vehicle. The ride was extremely smooth on the stretch from Kanpur to Agra,but as soon as we reached the Yamuna expressway,the quality of road gave us the confidence to increase the speed of the car substantially, the grip of the tyres on road, the cushyness of the ride made me realize that it was not only the engineering quality of the car but also the excellent quality of the tyres which made the ride soooo... enjoyable. Recently when my car had clocked 77000 kms approx. i decided to replace my tyres for the first time,not because the tyres had worn off, as the treads on the tyres were good enough for another 10000 kms , but because of the road conditions could'nt be trusted. Customers please take a note. I have a Verito d6 and the tyre which i had got along with it has crossed 84,150 kms and i feel it can go 2000 kms further. I am sincerely happy that my driving, along with your quality has given me such long lasting tyres. sincerely happy. I wonder if this is the maximum distance which had been covered ? And if this happens to be under your record tyre mileage.I shall call myself ,the proud owner of this tyre mileage record. Got mileage of 67000 km from 165/80 R 14 Tornado Tubeless on my Maruti Swift VDI 2011. Tyre still on wheels! what is the warranty of tyre supplied with Car. Got mileage of 80000 km from 165/80 R 14 Tornado Tubeless on my Maruti Swift VDI 2012. Tyre still on wheels! Dear Sir, I would like to express my happiness and thank you for the fact that my tyre has run for 80000 kms since its purchase without any flaws whatsoever so far. Its been a wonderful association with both your companies so far and I am hopeful that the same would continue to be so in coming days. Dear sir, i have a great experience with JK tyres. i bought maruti Alto in 2011 which was fitted with JK tyres. it has completed 04 years and run 73000 KMs. still 03 tyres are in good condition, other 02 was retired after 70000 KMs due to unbalancing. 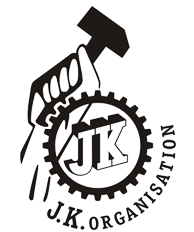 thanks to JK for great product. I am running my Maruti Ritz with JK Tornado tyres. I have driven more than 65,000 KMS with Stock JK Tornado tyres and still running. i have driven in all types of roads and its a really good tyres..thanks JK. My new car (Dzire) was fitted with JK TORNADO 165/80/14 and got 73500 kms. I am extremely satisfied with the tyre performance and wants to fit the same tyres in my vehicle. Very Good Service Indeed. Extremely satifsying. The tyre was replaced on the spot. Many Thanks. I was having tyre issue, I visited JK Tyre office at nampally as directed by Nissan service center, uppal. Mr.Jagan, Sr.Service Engineer responded promptly and solved immediately. Also checked my vehicle Nissan Sunny which has covered 20868Kms and found that the wear and tear is only 20% and expecting good mileage more than 80000kms easily. I would like appreciate your good service provided and with my present mileage covered. I am owning sx4 car. current running is 75650. till company tyre from jk. i appreciate the performance of your tyre. Hi, I brought a Maruthi Ritz VDI car in Dec 2009 and so far drove 84990 KM against the same factory fitted JK Tornado Tyre. So wanted to say I am very much happy with the tyre and car as well. I have bought ritz in dec 2011 and have got jk tyres as OEM fittment. i have been using the same set till date and have done 83,000 plus and might be able to pull off another 5-8 thousand. this deserves a big pat for your company for the good quality of the product and small pat for myself for taking care of it. Cheers to JK Tyres. Dear sir, I would like to share an amazing fact with you people.I have successfully crossed 1 lakh kilometres on Jk tyres with my Suzuki swift 2007 model which came with Jk tyres when I bought it. Everybody is astounded with this fact as they are of the opinion that these tyres don't last more than 40000 kms but I am still going good with these tyres as I have crossed 100000 kilometres. I would like to hear from you people on this feat. Regards Dr Farooq reshi. Used JK Tyre for the second time. Got 86525 KM the first time and the second time the tyre ran for 67062 KMs at 60% of wear. Ultima NXT (TL) Good Tyre, I could achieve 70000KM,in 4 years. Tyre were fitted by Maruti when purchased new Wagon -R CNG. I am using The ULTIMA NXT Tyre in my car from last 2 years, One of the best Tyre it is..
Want to thank J K Tyre for manufacturing world class tyres. I am using JK Tyres for last 15 years. I have used J K Tyres on Maruti Wahon R. Now I drive a Ritz Diseal. I have run the car for over 74000 kms on the company fitted J K tubeless tyres. Still the tyres are in very good shape. Thank you once again. I am using Ritz petrol and the vehicle has done 1.25 lacs kms with the original tyres and still can go for min 15K more.pl confirm if you require thesw tyres for your study. Pleased to share that I have done more than 55,000kms on JK Tyres and they are still in good condition. I'm sure they will easily do 5 to 7K kms more. These are fitted on Dzire VDI since May 2008. I will be more than happy to give a testimonial for this feat of JK Tyres! I own a Nissan sunny XL car,purchased Year 2012. The car was equipped with JK Tyres and till date my car has covered a mileage of 77000 and the tyres are execellent in shape and still in useable condition. My target is to get them replaced at 80~85K Kms. Certainly they would be JK as replacement.